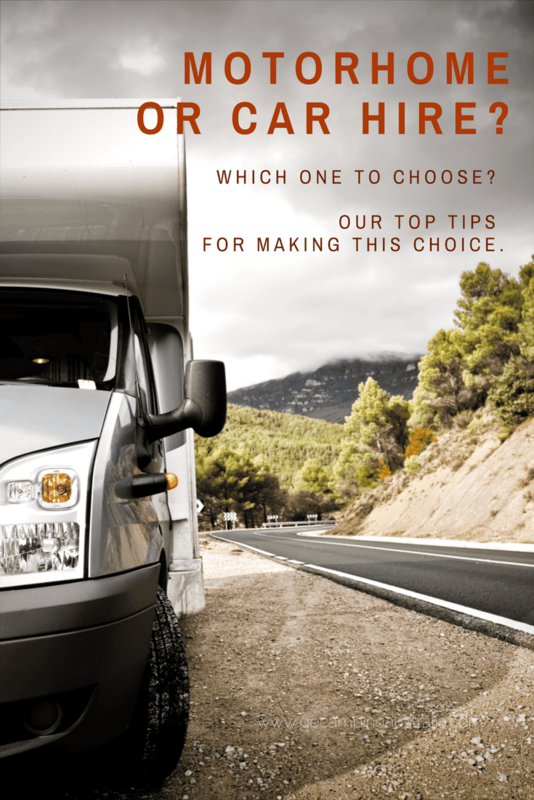 Should you hire a motorhome (or campervan) or hire a car when travelling? That was our dilemma and this is our story. When planning a recent trip to New Zealand, like many other tourists, we had planned to hire a motorhome (the bigger, fancier version of a campervan) to see this part of the world. We could have gone camping in the more traditional way, but that would have meant taking a lot of our camping gear on the plane with us and the logistics of that (plus quarantine requirements) would be way too hard...... So a motorhome (or campervan) seemed like the perfect option. Purists of camping might be recoiling in horror that we were going to toss aside the tent in favour of a big diesel-hungry truck. But that was the plan. So we booked our motorhome - toilet, shower, 6-berth. The whole works. No roughing it for us. It was going to be a nice change from the tent and giving us a totally different perspective on camping, plus a unique way to see the countryside. Four weeks after paying the deposit, we cancelled this hire, and booked a car. So how and why did we do a total reversal on our choice of travel in NZ? It was a combination of things, which would apply to hiring such a vehicle not just in NZ, but here in Australia too. So to explain our reasoning, whether it be right or wrong, we decided to put together the story about why we changed our minds and what we learned along the way in making this decision. From doing our own reading, it seems many people struggle with knowing whether to hire a car or hire a motorhome, so some further clarity couldn't hurt! Now, in the story we won't mention the name of the company with whom we initially chose to hire (you may be able to work it out on your own), but many of the reasons we list, tips we suggest, would apply to any hiring company. After viewing the huge variety of campervan/motorhomes available in NZ to hire, we sort of knew what features we wanted. 6-berth (eg. 3 beds), shower, toilet, fully self contained, awning, auto transmission. We were going to travel in school holidays (a traditionally busy time) and we found that motorhomes do not come cheaply for hire. There are huge variations amongst the companies that hire these vehicles so shopping around for a deal that suits you is definitely something you need to do - and do it as soon as you can, especially if your travel dates are in peak season. I actually was surprised at the daily rate of the motorhomes. In my head, I imagined them to be a lot cheaper, but we weren't looking at one the campervans perfect for 2 people - ours was going to be a beast of a motorhome and consequently were paying a lot for that sort of vehicle. We chose a motorhome that met our requirements - it had a fairly good daily rate, compared to some other offerings of similar vehicles: the daily rate does vary greatly amongst similar vehicles and companies. Booking online was easy and hassle free once we had decided on the vehicle and found it was available. We went with one of the biggest motorhome suppliers in NZ/Australia - going with a big one should be safer and have the best fleet of vehicles, theoretically. The motorhome was meant to be no more than 12 months old which was important to us (maybe not important to you, but there you go). Only after we had paid the deposit, did we start reading incredibly negative reviews and stories about this particular company. 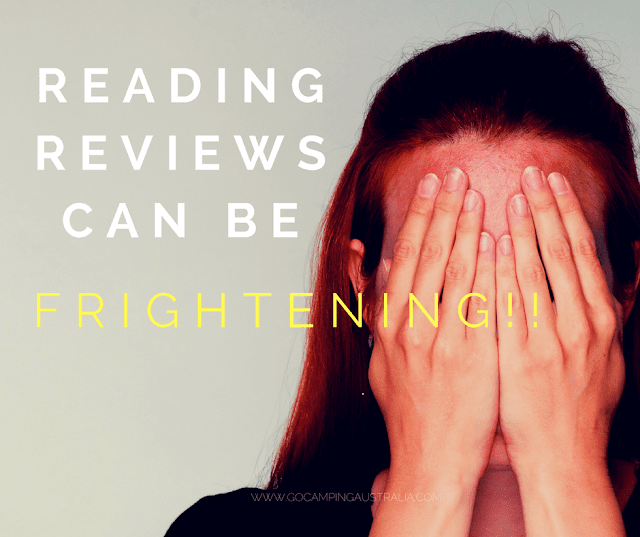 Stories that make your jaw drop with the horror treatment some customers have received. Look at TripAdvisor Forum and type in the name of the company you want to hire from.... you will see what I mean. The internet is full of unhappy customers and experiences of the company we were hiring from. Complaints ranging from broken or dirty or dangerous campervans, poor service everywhere, long waits to get their vans and return them, non existent customer service before, during and after the hire, and shady business practices plus, long delays in refunds. There are a lot of reviews out there, and the company we had chosen seemed to have more than most - not just in NZ, but Australia too. Now, I realise that unhappy people are probably a whole lot more eager to share their story than say happy customers, so we did take that into consideration. Would we say we made our decision to cancel based on these reviews? Not totally, but the reviews were so bad and so plentiful about this company, we just couldn't ignore them. If we had ignored the reviews and something untoward had happened, then I would be furious at myself for not paying more attention. Of course, everything could have gone perfectly, and I would have counted myself "lucky" not to be one of those people who had experienced some of the shocking motorhome experiences. There are plenty of bad reviews for other motorhome companies too, and also plenty of glowing reports for other companies, but that was not going to help us, as we had already chosen to go with this particular company (because we had paid our deposit). Tip # 1: Read online, other people's experiences of the company you are hiring from. Try to balance what you read, and look at a variety of sites/forums to get a wide range of views. Don't read the reviews placed on the company's own website because they are worthless. Tip # 2: Rankers NZ is an excellent place to start - loads of information about car and campervan hire companies and everything else in New Zealand with real reviews. Tip # 3: Type into Google "(insert company name) motorhome reviews". See what comes up in your search. Hiring a big vehicle is not exactly cheap and apart from the daily rate, there are daily insurance costs you can pay for to help reduce your excess (the amount you would pay in the likelihood of damage to the vehicle). We knew the daily rate we had agreed to, so that wasn't an issue plus we knew we were not going to be paying the hirers own insurance; we were going to book insurance with a company that especially covers rental excess. This was a part of our homework we actually had done prior to committing to hire : to not fall into the trap of paying the hirer's insurance (something you will get pressured to do at pick up of the vehicle). 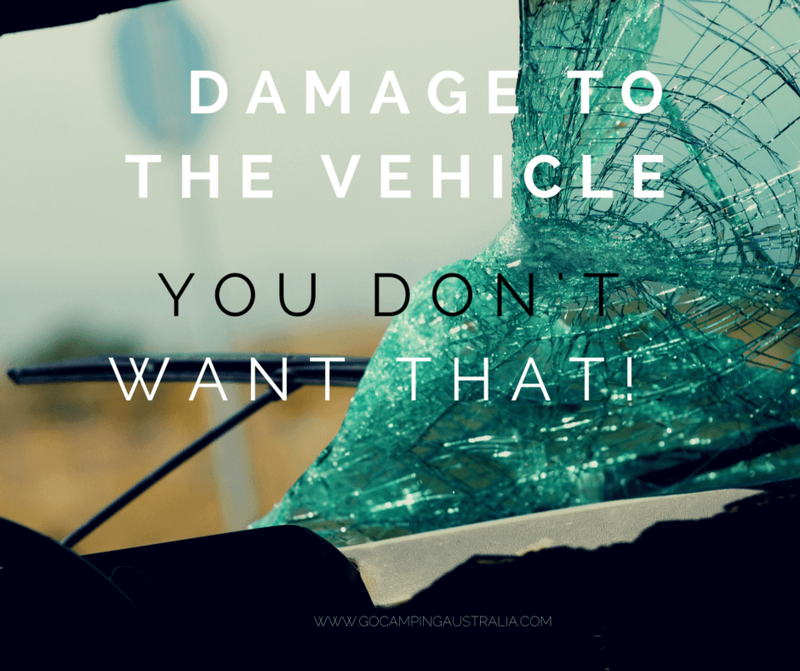 You can save a lot of money on insurance with rental car/campervan companies if you don't pay their insurance but use a separate insurance provider that specialises in rental excess. You should look at your travel insurance and credit card insurance options as well though you may find they have limitations - read on for further explanation. Look at these sites below to read more about what you can expect to pay with them compared to what the hiring company will make you pay for insurance. The daily rate difference is huge. They will cover things that the hiring company will NOT cover, like undercarriage damage, windscreens, tyres, demurrage. Rentalcover.com seems to be the most comprehensive of the the two listed (or the easiest site to understand). Feedback from others who didn't take out that separate insurance, is that you will be told horror stories when collecting your campervan, about all the costs you can expect to deal with, should you NOT take out the hiring companies daily insurance package. Some cases, staff have been quite aggressive with customers when customers deny the hirer's own plans. Tip #1 : Do your homework on insurance and read all the terms and conditions about hiring before you commit to any hire. You will find that the terms and conditions may be a separate download/PDF, and you may have to search around the site to find it in its entirety. Many sites just seem to give an abridged version at first glance, so look further on the website for the full agreement. 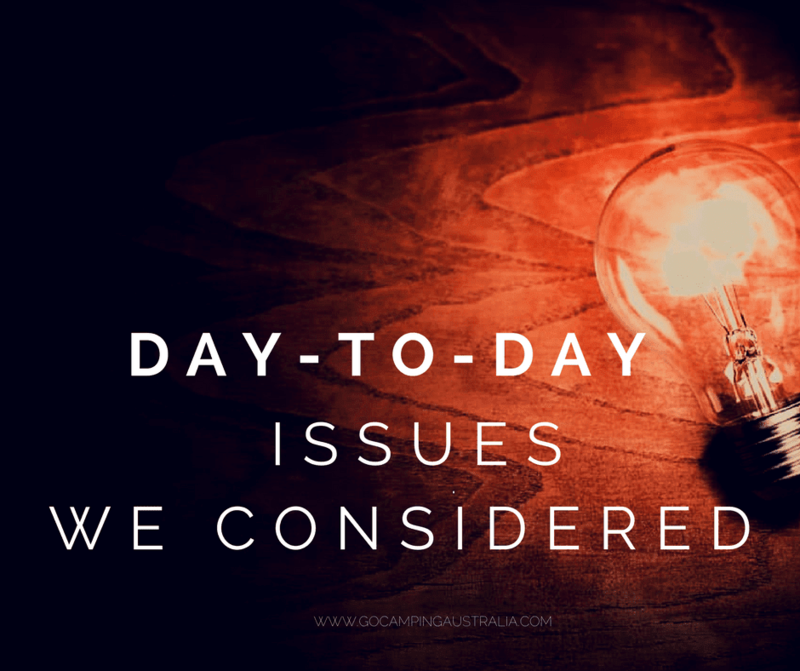 Know exactly what you are agreeing to and the conditions around the hire. You would think paying that much money to the hirer, you will be OK for any damage, but that is not always the case. The company we were hiring through (one of the BIG ones) did not cover these items in 2017. 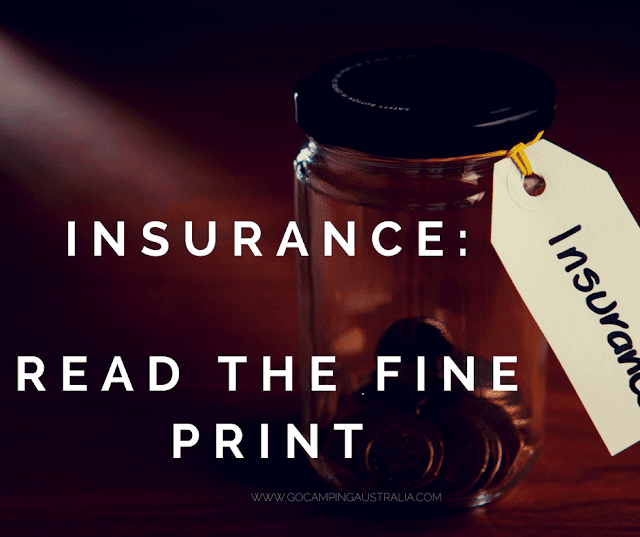 You will need your own separate insurance to cover those items if you want them covered, which makes you wonder, "why pay for their insurance in the first place, if you have to go elsewhere for full coverage". Tip #3: If relying on travel insurance (or your credit card insurance) to cover you, find out what it actually will cover in relation to car/motorhome hire. Make sure your insurance option covers the sort of vehicle you will be hiring. Don't assume your camping vehicle is covered. Tip #4: Demurrage is when your vehicle of choice is unable to be hired by others due to damage you incurred. That vehicle is now off the road, and you can be charged the daily rate as long as that vehicle is not available to hire. Does your insurance cover this? A motorhome with a daily rate of $200+ could be expensive if off the road due to repairs. Investigate. This was the deal breaker for us. The bond we had to pay for the motorhome. $7500. That's not an imprint on our card - that money was to be deducted from our credit card at time of collecting the vehicle. Some companies will not deduct money from your card, so that is one important thing to look for. The company we chose was all about taking the money off us right from the start! Once again, it was in the hiring agreement. Others will not deduct that money if you take their liability options (eg. insurance packages) - just imprint your credit card. But if you say you have your own insurance, then expect that credit card deduction. Once again, not all motorhome companies have bonds as high as this or do the deduction. That is something you will need to look at on an individual basis. Deduction of $7500 would incur 2-3% credit card fees when deducting, plus international credit card fees (if your CC charges them), currency conversion difference and, all of that would be on our credit card for 2 weeks of travelling. That's at the start of the hiring process. Getting the $7500 returned at the end of the hire period, means more charges when the money is returned. That's $7500 we don't have available on our credit card to spend on our holiday, and we need to make sure our card is cleared to have that much deducted in one go. Don't think about trying to use cash to avoid this. It's credit card only. No pre-paid credit cards. If you use 2 separate credit cards to make up the amount, you will have to pay all the charges listed above, twice. You can reduce the bond, only if you pay their daily liability rate. Tip #1: Look at all the charges of hiring. Not just the quoted daily rate. Incorporate into the daily rate any fees that you will be charged by the hiring company, such as the fees mentioned above. A 2% charge on a bond of $7500 is $150. Tip #2: If you need a credit card, and worried about international charges, see if your bank has a no foreign transaction fee credit card. If it doesn't, it may be worthwhile looking around at banks/credit unions to see if you can qualify for such a card. Tip #3: Travel insurance rental excess varies greatly across policies. Many we looked at did not have an excess that would cover $7500. You may need to hunt around to find a policy that will cover that much of a bond. I was understandably, a little worried about having $7500 on my credit card, especially in the event of an accident. It seems that a minor scratch to the motorhome could result in them holding the entire bond ($7500) whilst the damage was repaired, and then they would refund me any difference between the cost to repair and the bond. That could take weeks or even longer (based on reviews some people have waited months) - think of the interest you could end up paying if refunds take a long time? Yes, my own insurance would cover any damage to the vehicle in the end, but that still doesn't stop them having my $7500 during the repair process. I would then have to claim from my own insurer. Lots of people get through their holidays totally unscathed, and I wanted to be one of them. But a niggling doubt was playing over in my mind, and being a total over-thinker, I was looking at the worse case scenario. Our biggest tip for hiring - check your vehicle closely, including spare tyres. Get every single fault listed on the sheet before you drive away for your holiday. No matter how small it is, or what the salesperson says, have it written down. Note: We have read about people being told on return of vehicle they have sustained undercarriage damage to their campervans, even though the customer has no idea how it could have occurred - this is not an easy thing to check before you go, and I am not even sure what undercarriage damage looks like. Just be wary of this issue that possibly could arise and as mentioned previously, many insurance packages offered by these hiring companies will NOT cover this. That's why you might need separate insurance from someone who does. If we forget about the bond, and the money and the risk of damage, the motorhome sounded like a real adventure and a beautiful way to see NZ. But there were things we didn't want to deal with on this holiday at this point in our lives. -making up beds and rearranging the layout of the van every night to create extra beds, and then having to undo it all again in the morning. - driving with everything we own to remote places whilst we went hiking (and leaving an ideal campsite to do so with the possibility of not getting a great spot to stay on our return). - greater fuel consumption and driving considerably slower to get from A to B. - teenagers can be tricky beasts, prone to bouts of moodiness and sulking. In a van, I would have no escape!!! We didn't miss the stress that goes along with driving a big vehicle with a $7500 bond on it! Weigh up what is important to you. What was important to us won't apply to everyone. I get that. Think about what you want from your trip, what you do and don't want to be doing as part of your holiday (especially if your time is limited). All these thoughts came after the initial rush of excitement of booking our trip. 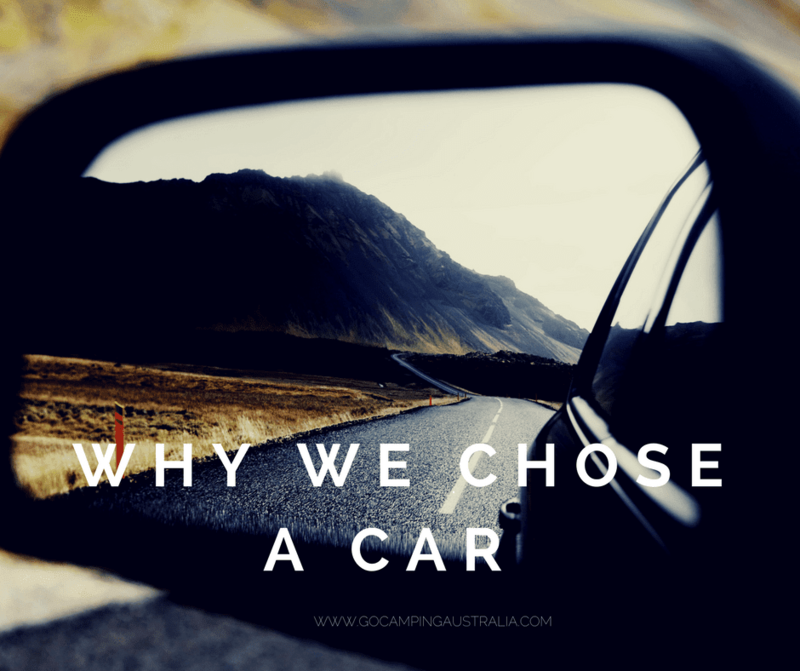 Why we chose the car option? I know there are a lot of negatives mentioned in this story. If it was all bad, no-one would hire a campervan. So it's obviously not. I have seen wonderful stories, blog posts and forum comments from travellers who have had fantastic adventures in their motorhome. And judging by the amount of campervans on the road, it remains a very popular way of travel. something wrong/broken at our accommodation? Not our problem as we will be on the road next day, and leave that issue behind. It did mean we had to be a lot more organised in order to secure our accommodation, so researching and booking accommodation had to be done in advance, which meant our travel route had to be "locked" in. No last minute change of mind on locations. The car insurance excess was $3500, and our travel insurance easily covers this rental car excess. 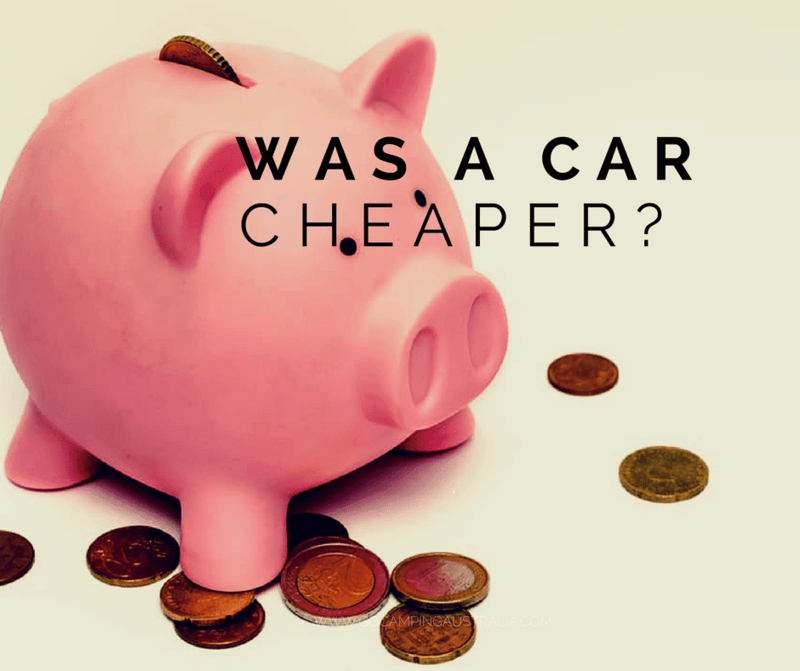 The daily cost for the car (SUV) was $60 per day. We ran a spreadsheet detailing the cost of a motorhome vs car and accommodation. It was coming out pretty much the same. Not including fuel, which we couldn't calculate, but incorporating all the hidden costs as well, we were finding that the 2 options were pretty even, and a few reasons why they were so similar are listed below. Accommodation in school holidays for 4 people meant not staying in fancy hotels, but choosing self catering accommodation like cabins in caravan parks, or motel rooms and in other cases, Homestays (like Air BnB). A family room(s) was required and you pay for that. Keep in mind that many accommodation deals are for 2 people. We saw great deals via hotel booking sites but reality is, they weren't designed for a family. Travelling as a couple, I can see how you could pick up great accommodation bargains, especially out of peak season/school holidays. We really had to search regularly for deals and even 4 months prior to travel, many places were booked out (or very close). If we had started booking later, then our accomodation costs would have increased dramatically due to lack of availability in peak times. We chose accomodation that had kitchen facilities to minimise need to eat out constantly for every meal, plus planned to take a soft-sided cooler (see it here: IceMule) to carry cool drinks between destinations with icepacks that could be frozen each night. Once again, it was a little bit of pre-planning to help offset the lack of a motorhome kitchen. For the motorhome, we would need to pull into powered sites every second or third day, and in some locations we would need to spend our entire time in one. Powered sites also sound reasonable - but rates are frequently based on 2 people, with additional costs per person, at around $20pp. It meant that some nights, a powered site would cost around $80 pn. That was all factored into our spreadsheet. These sites were considerably cheaper than of course, our motel options. Using the DOC campsites with our motorhome would have meant costs for all of us under $20 pn. A great bargain. I was expecting there to be a larger difference between the two modes of travel/accommodation but surprisingly, there was not (in our case). Time of year, and number of people travelling really made a huge difference. If you have flexibility with the dates of travel, and can travel in low season, you could save considerable money on vehicle hire and/or accommodation options. We chose the car option for all the reasons listed above. There was some disappointment in the beginning that our initial choice wasn't meant to be, but the more we read in the months leading up to the trip, the more confident we were with our decision to not take a motorhome. This decision was reinforced during the trip - we were very happy with our decision. We had no regrets. None. In fact, after travelling around, there was a sense of relief that we had chosen a car. Of course this doesn't meant that we wouldn't give campervan travel a go in the future. We just might, but possibly without the children!! I think we will be a lot more prepared and knowledgeable on the whole hiring of a vehicle and have a clearer idea on what we want from such a driving holiday. 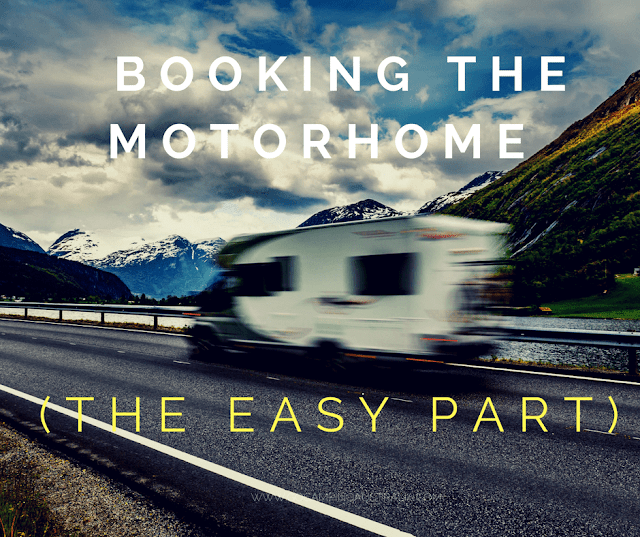 If you too, are pondering over motorhome vs car hire, we hope you can learn from what we did (or didn't do) in regards to making that choice. Maybe you have thought about some of the things we did? Or maybe we have given you some matters to investigate more thoroughly before committing? If its helped you make a decision on how you want to see NZ or Australia (car or motorhome), then we are happy to hear about it below. PS. Cancelling our motorhome hire, 3.5 months in advance of the trip, cost us $250 "admin" fee. Once again, this was in the terms and conditions when we paid, so there was no surprise there, but it's easy money for them, as the whole booking was online.